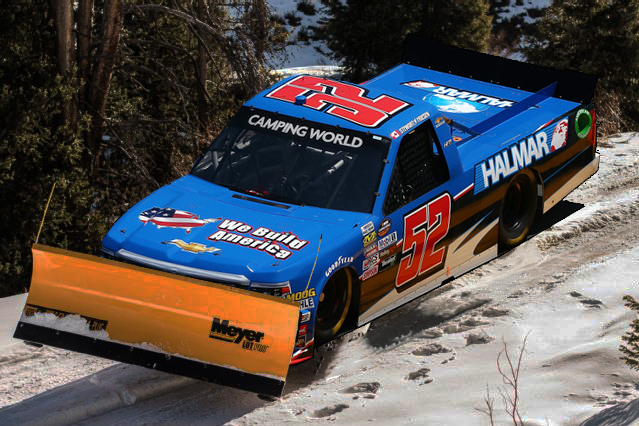 For the first time in 25 years a NASCAR event was postponed due to snow. Despite the frustration it caused, Stewart Friesen and crew powered through it to race on monday morning. Friesen didn’t have as easy a time as expected on the short track. Despite leading 6 laps to pick up 21 championship points, he was unable to pull off a top 10 finish. It was a long hard battle on a short track for Friesen, who took damage on lap 16, and was later put 2 laps behind for a pit penalty. With a scheduled month long break in the NCWTS, Friesen will get in some serious seat time with his dirt modified, returning to the northeast.